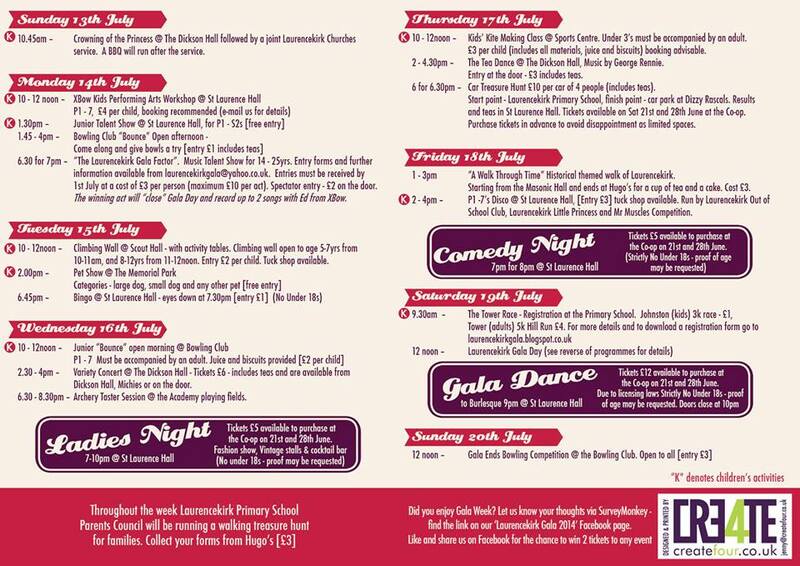 After last year’s break, Laurencekirk Gala Week returns with a full programme of events starting Sunday 13th July and finishing on the 20th. It’s going to be a mix of traditional events such as the pet show and car treasure hunt, and and new ones including a talent show and comedy evening. 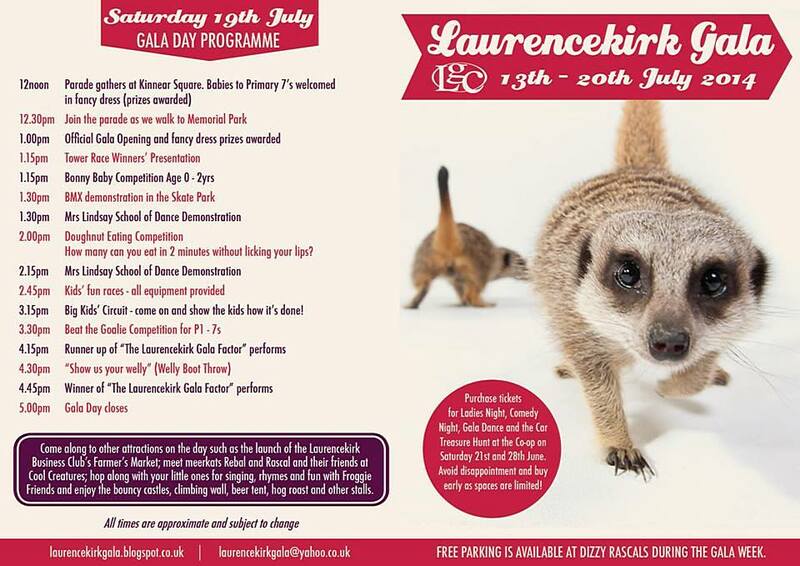 The Gala day, next Saturday 19th July, will start with the pipe band and parade from Kinnear Square, and will include a visit from real live meerkats and some friends at the Memorial park. There’s lots for the whole family to enjoy at the 2014 Gala, so come along! Click on the pictures below to see the event programmes in full. You can also visit the Gala Facebook page here for up to the minute news.